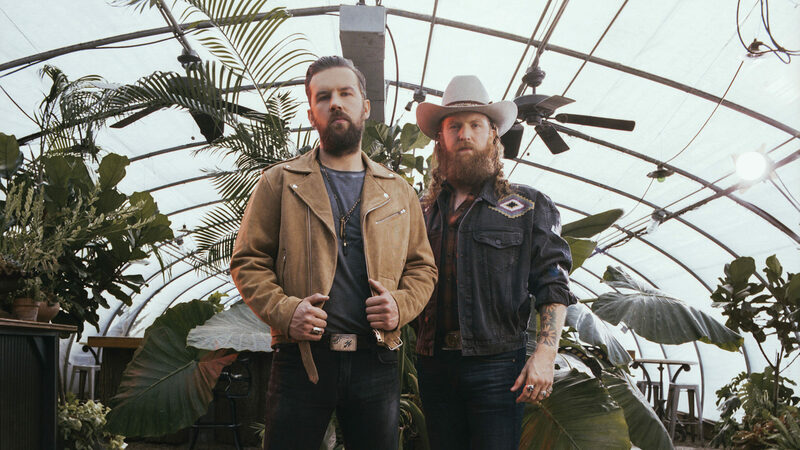 Nashville-based duo Brothers Osborne are set to play O2 Academy Islington on Friday June 14th as an exclusive, one-off headline UK show in advance of their inaugural appearance at the Download Festival – the premier event in the UK rock calendar. Following their triumphant UK tour in December last year, culminating in a sold-out show at the O2 Kentish Town Forum in London, this performance on the hallowed grounds of Donington Park not only marks The Brothers’ debut appearance at this high-profile event, it also makes them the first country / rock crossover act to play both Download Festival and C2C (Country To Country Festival). “The UK is quickly becoming our second touring home. So much of our favourite music comes from there, so it’s an honour to be embraced by such great music lovers” – Brothers Osborne. Currently in the throes of a US tour, the Maryland siblings recently put a huge tick on their career bucket list, selling out three shows in one week at the famed Ryman Auditorium in Nashville, where they headlined the legendary venue for the first time. Each night featured different special guests, including Dierks Bentley, who joined them for the hit number ‘Burning Man’, Maren Morris, who sang on ‘Greener Pastures’, and Lee Ann Womack who took to the stage for the powerful from-the-heart duet that is ‘Loving Me Back’. As is always the case at a Brothers Osborne outing, ‘It Ain’t My Fault’ – the Platinum-selling hit single and hugely popular video from the band’s debut ‘Pawn Shop’ album (2016) – proved a highlight of the dynamic live show, impressing fans and critics alike. The reigning ACM & CMA Vocal Duo of the Year, Brothers Osborne recently debuted the music video for their current single ‘I Don’t Remember Me (Before You)’. This emotive clip centres around a professional bull rider who struggles to get his life back on track as he battles with substance abuse; the footage builds to a surprise ending that will tug at your heartstrings. Check out the video here. Looking ahead, Brothers Osborne make an appearance on the highly-anticipated Brooks & Dunn album, ‘REBOOT’, set to appear on April 5th. This release contains 12 timeless tracks by the newly inducted Country Music Hall of Fame members, with different Nashville artists contributing their own unique spin. Meanwhile, on the live front, Brothers Osborne will join Chris Stapleton on his ‘All-American Road Show’ later this year.